The bedroom closet can be one of the most daunting rooms in the house to organize. It can get so full that we keep putting off the clean out until "later", but if you take a deep breath, arm yourself with garbage bags or bins it won't take long. You will discover all kinds of space you didn't know you had and sometimes a great outfit you forgot you had! Step One - Pull everything out from the closet floor and the upper shelf if you have one. Make three piles, keeper, donation, and garbage. Quickly look at the item and add to the right pile. Sometimes there are things in there that need to go elsewhere and sometimes its just time for them to go "bye bye"
Step Two - Go through your hanging clothes quickly one hanger at a time and place in appropriate pile. Make a pile for seasonal items you wish to keep if your closet is quite small, these can be stored in under bed drawers to leave you more room for your present season clothes. Then simply switch out next season. Step Three - Give it a good vacuum and cleaning, and this would be the time to paint it if you wanted but otherwise arm yourself with a few space saving supplies to help you organize your room and closet. Figure out your habits and what gets used more and make sure it is easy to access and put away so things stay organized. This is the quickest way to an organized closet. You can get different sizes depending on the width and what you need. It simply fits in the closet space and now you have instant shelves. You can further organize this space with baskets for the shelves that can house your scarves, hats, or smaller items. 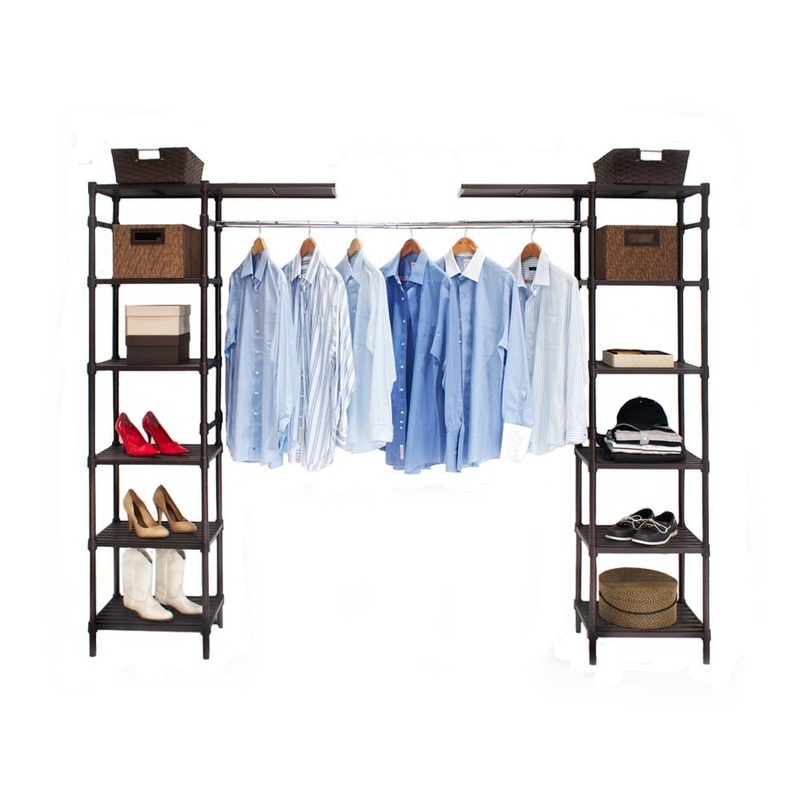 If you have a limited budget and based on your habits and things you decide you need more shelf room rather than hanger room, this instant set of shelves hangs from the rod creating lots of storage in the vertical room. Yes it will cut down on hanger space, but it can hold a lot of folded sweaters, t-shirts, and even little drawer from socks and smaller items. 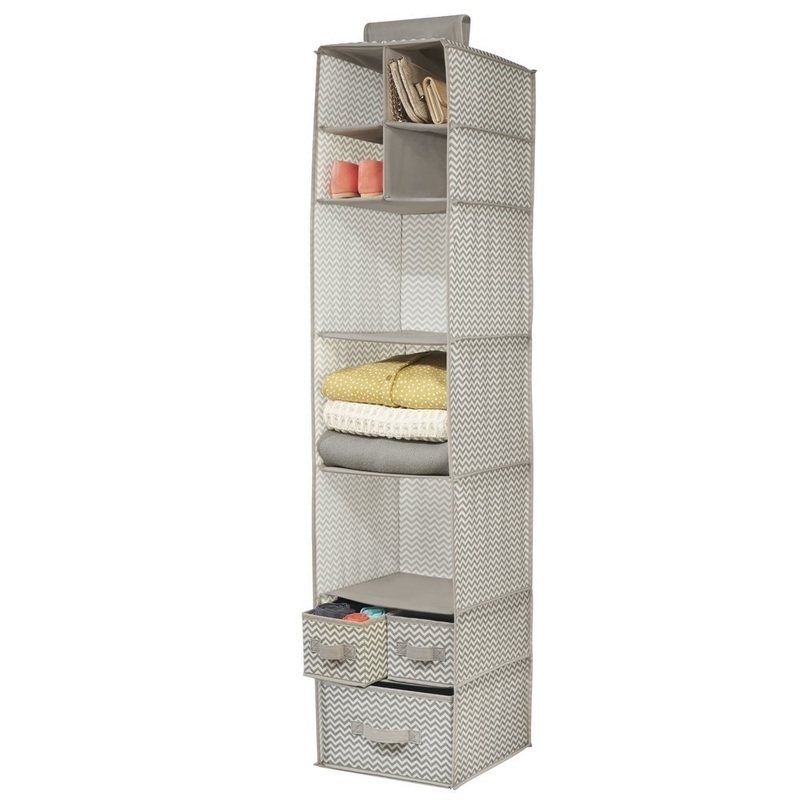 Would work great in a small bedroom where there is not enough room for a dresser or you simply need more shelf space. This way you are utilizing the vertical unused space. 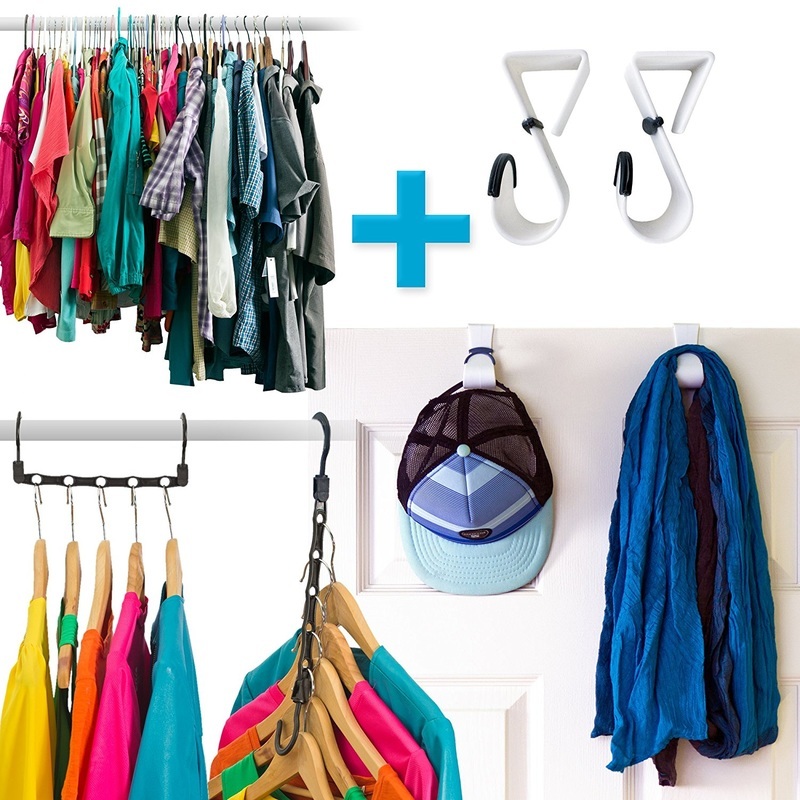 If after cleaning out your bedroom closet, you decide that hanger space is really important to you but you simply don't have the width in this closet, then using these space saving hangers utilizes the vertical space so that you can hang many items without crushing them. This could be the answer you have been looking for if you are ending up with crushed clothes all the time. There are different ways of using these as you can see in the picture. If after a careful clean out you realize that shoes are the biggest issue in your room, then this type of storage can sit neatly on the closet floor. 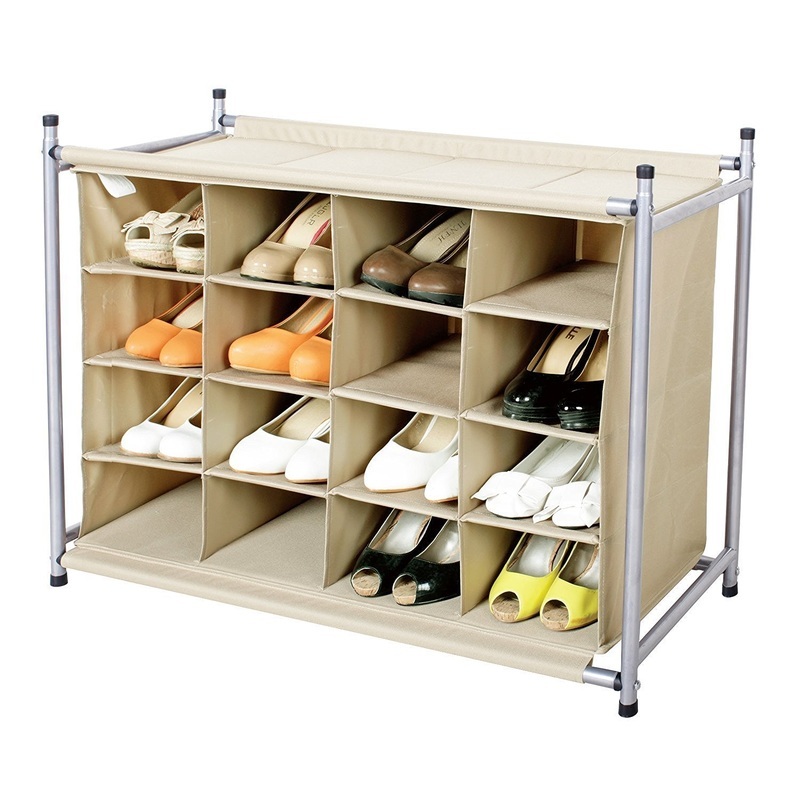 Makes it easier to pick out a pair of shoes and more likely that you will put them back when you are done. 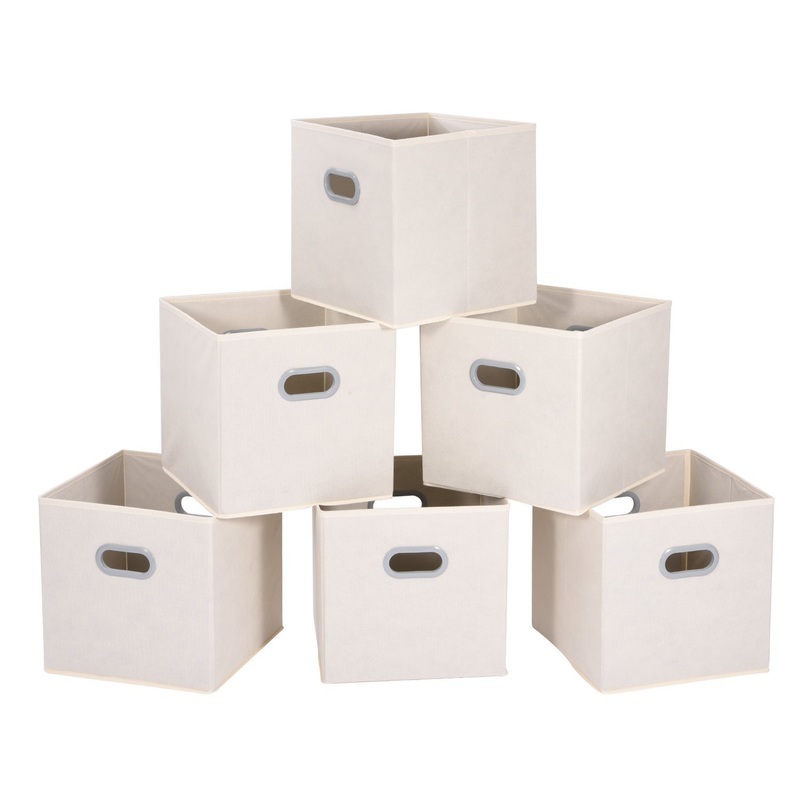 You want something that is easy to use, and you could even use the top of this unit to house some folded items. If you simply can't part with all your shoes and space is really limited you can also get under bed drawers designed just for shoes! Don't forget about the door when you are organizing your room and closet. You need to utilize every square inch of a smaller closet. The inside of the door can be made into instant storage space. You don't have to use it for shoes, but ti does get them off the floor and easier to find when you are in a hurry. This is an affordable option to save you all that agro of trying to find the matching pairs. You may even find shoes you forgot you had. This will clear up floor space and sells for under 10 dollars online! You don't have to spend a lot to get organized. 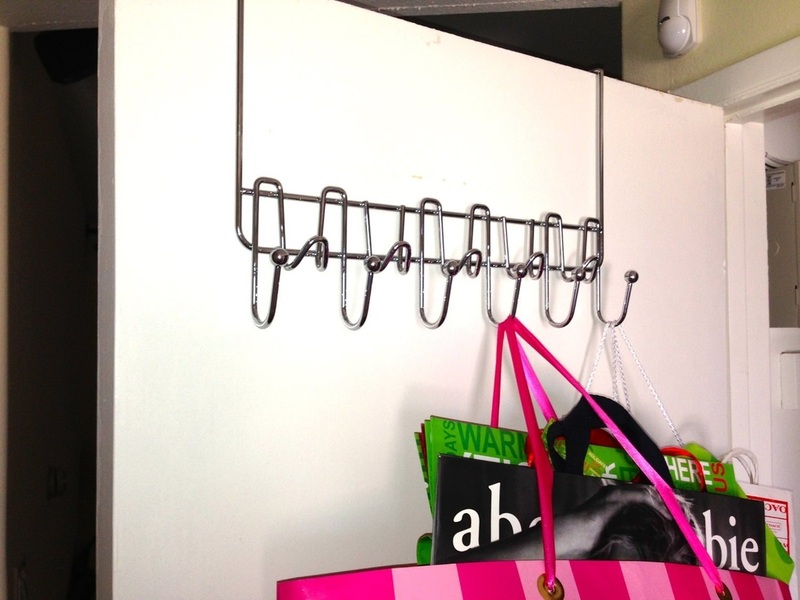 These can be used anywhere you have a door, but they especially work well in the bedroom closet for hanging purses, scarves, jackets and more. They don't harm the doors, simply fit right over top so no worries if you are renting your space. You can outfit a closet with many of these ideas without harming any walls or doors and they can be taken with you when you leave. If your closet has a top shelf over the hanger rail, this is another spot that is not used to its fullest. You can sit these cubes on that upper shelf and house things you may not use all the time and label them. Maybe some sports wear, or scarves, bags, anything. They can sit neatly beside each other and can house a lot of things. 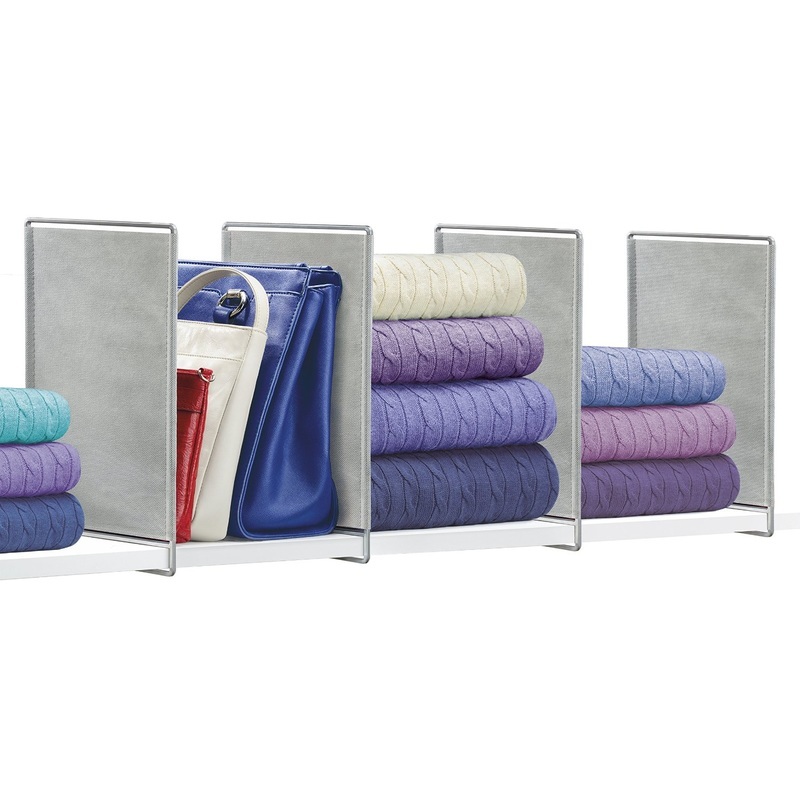 Quite often the upper shelf in a closet has a lot of height, but can easily get messy as it can be hard to create piles, but these shelf dividers, simply slide onto the present shelf and give you that separation for sweaters, t-shirts, and other things. You can pile them higher and they won't fall over due to the dividing walls. This is awesome for those bulky sweaters. You may find that after a good clean out, this is all you need to get organized, Using the present shelf to its fullest. This doesn't have to cost a lot and if you are renting you don't want any DIY construction or holes in the walls, many landlords are not thrilled with that idea, so many closets are not user friendly, but by figuring out your needs based on the items you own, you can decide which type of system is best for you. We are all different. I know myself I have more foldable sweaters and shirts than I do hanging things, so shelves are needed for me and the shelf divider is a brilliant idea. Work out your habits, and what is the easiest to work with. You don't want something that is hard to get at or you won't use it or put it away when you do. So do some homework first, clean it out, and then with just a few well placed closet accessories you can utilize even the smallest space. Now that you have your closet organized you may find that you need a step stool for accessing higher items on that upper shelf. 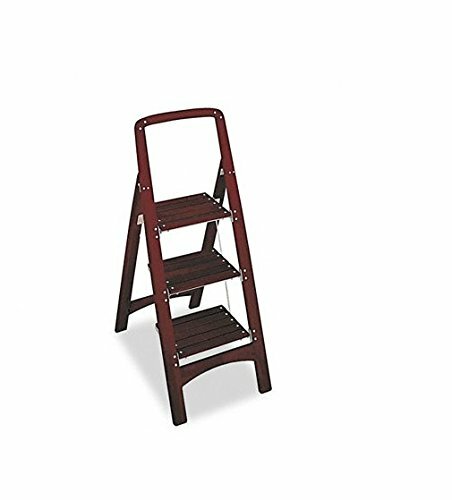 If you have used shelf dividers to utilize the height of your closet, then this is a handy little step stool to keep in your room. This way you are not simply pulling things off the shelf blindly and getting hit with a pile of sweaters. These are super handy for any room. What I like about these steps is that they don't look like the ugly metal ones.